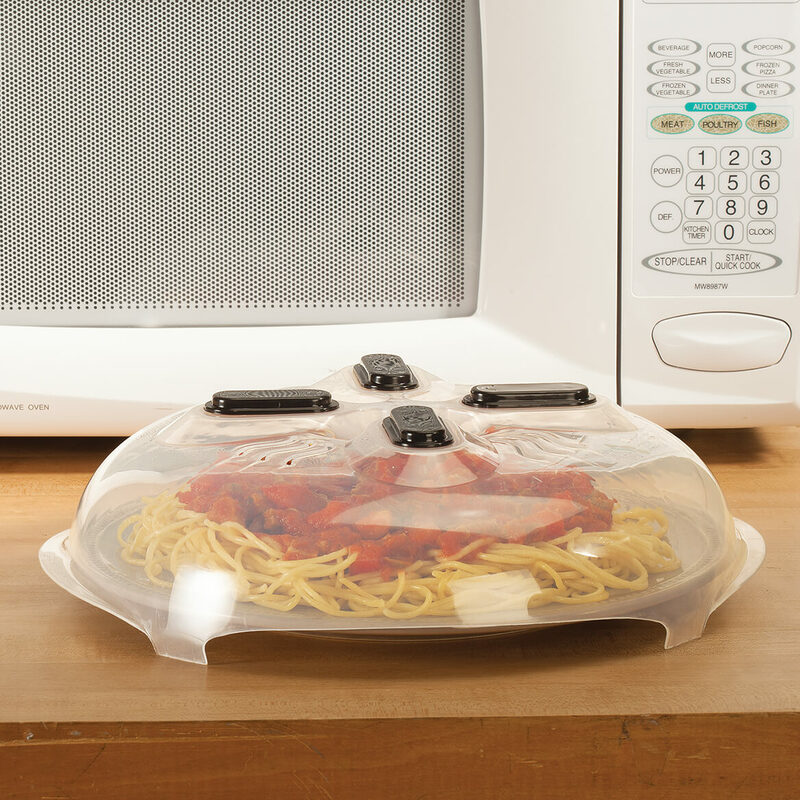 Keeps the cover handy so it is easier to remember to use and keep the microwave cleaner. However, your microwave must have a flat inside top, doesn't work if it is shaped inside. one was for my husband at his shop. Convenient and very easy to wash.
i dont waste paper towels any more. 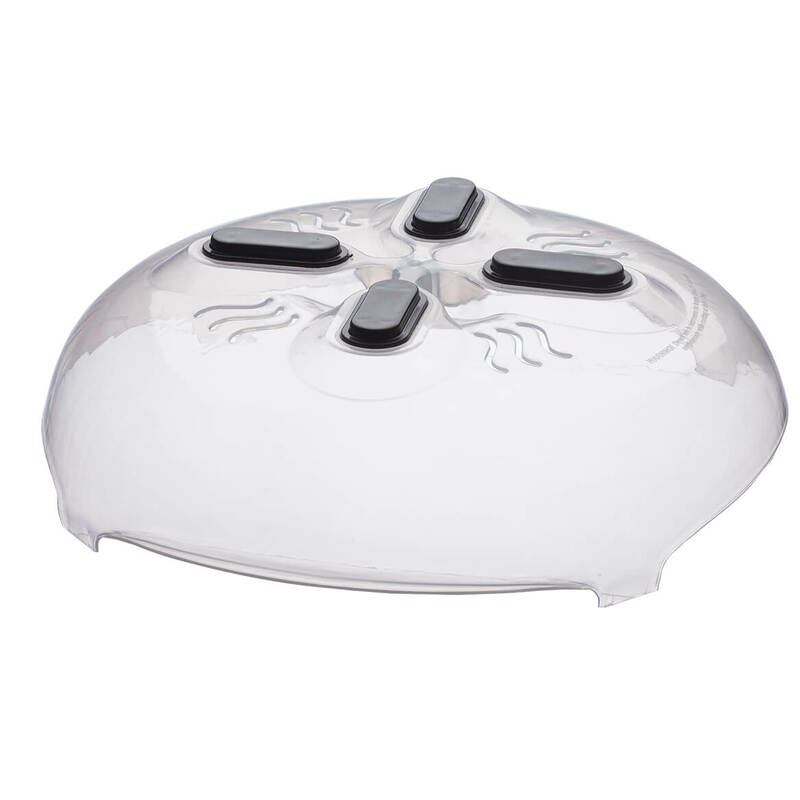 it stays in the microwave just fine easy to use easy to clean no splatters in the microwave just the lids. Really is handy. However, we found we needed to adjust the time cooked up to 30 sec to a minute. I like it but it is a little too heavy. I think that this micro cover is an excellent idea for keeping the micro Cleaner and saving on paper towels for covering. thank you! I am choosing this microwave cover because I always have to around the kitchen for the one I have now. The reason I order the giant calendars for the last ten years nice and big to write all the info keep them in the cabinet door. And I now use this at my place of business. Love it for both home and business. People at work requested I get this calendar.. I bought one of these and love it. My son saw it and I got one for him too. Never had one. Seems so practical to use! I saw it on TV. I have a microwave & this idea, I think would work. I hope it works. Keep microwave cleaner and cook more evenly. IT STORES IN THE MICROWAVE WHEN NOT IN USE. MY DAUGHTER HAS ONE AND I LIKED IT. My micro oven rather high - hope this will contain splatters on the top making for easy clean-up. been wanting to try and the price was good and the possible venting so the foof won't become soggy. Bought this to prevent spatters in my microwave! Can't wait to try it out! 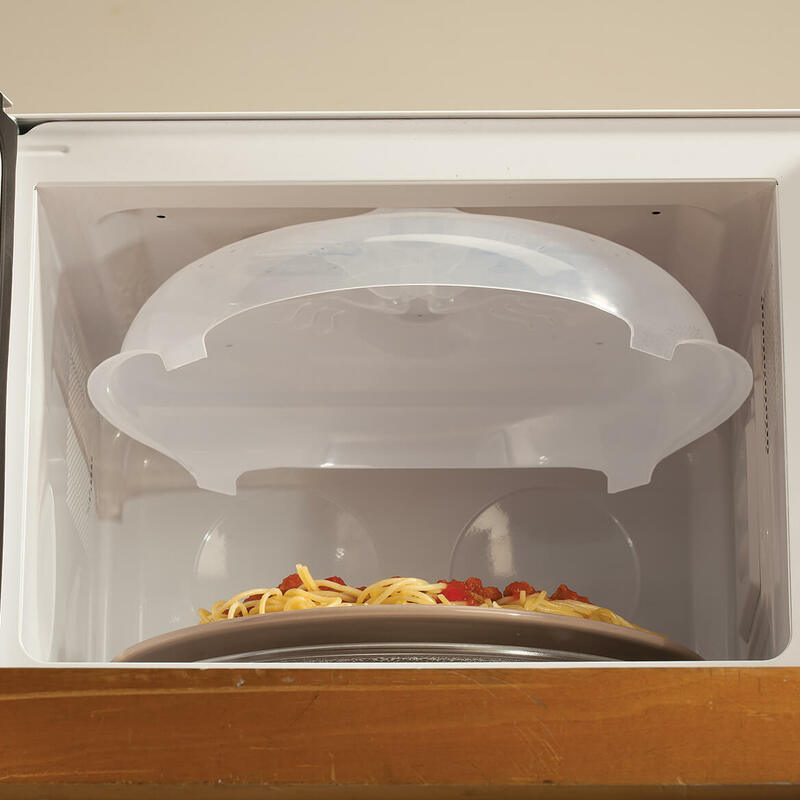 Do you leave this in your microwave when you are microwaving something that doesn't need to be covered? BEST ANSWER: No I don’t matter fact it doesn’t stick to the top of my microwave apparently it’s not metal so I don’t use it very often at all it’s a good idea though if it would stick to the top of mine yes I would leave it in thereEnter an answer to this question. I returned it. Didn't feel comfortable with the magnets in the microwave. I leave my on the top of the microwave when not in use. I do, it has magnets so you can leave it.